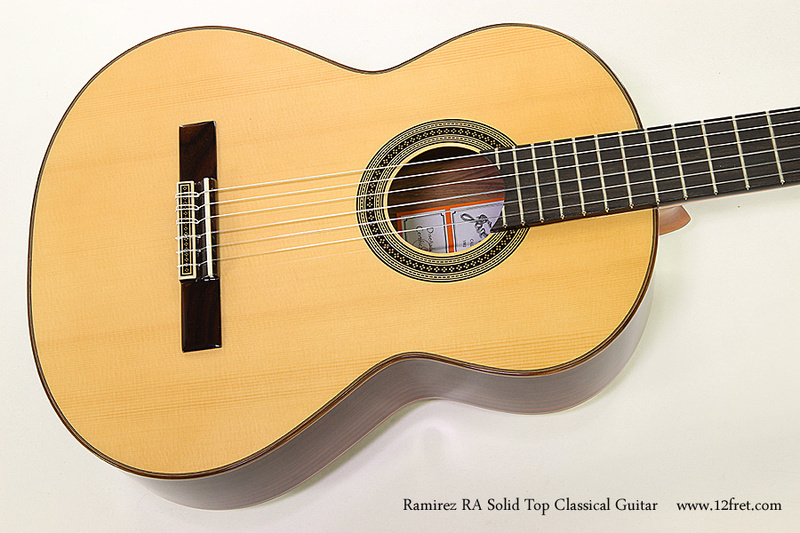 The Ramirez RA model offers a performance grade instrument in a low priced format with a sophisticated bracing pattern based on the Ramirez 130th Anniversary model. It is part of the Estudio R series originally produced by Jose Ramirez IV in 1991 and redesigned by Amalia Ramirez in 2014. 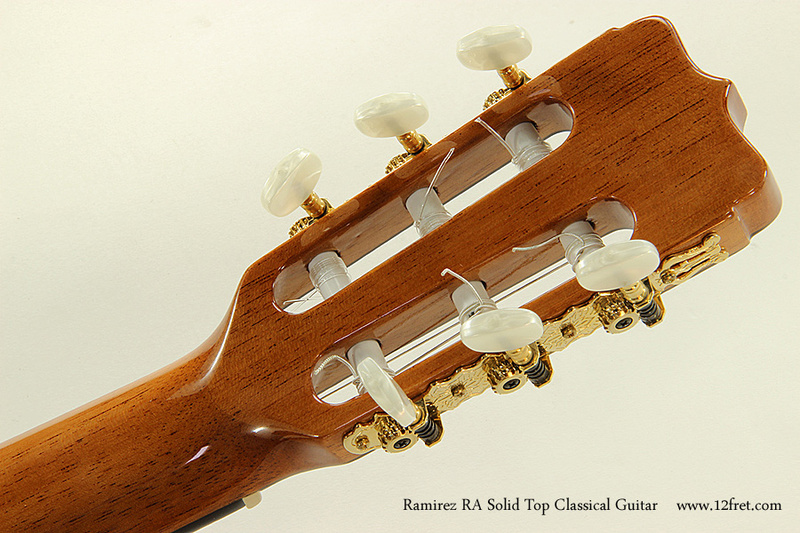 Entirely built in Spain, the RA model is available in solid Cedar (RA) or solid Spruce top (RA -A for Abeto), using laminate Rosewood with a dense African mahogany core for the back and sides, an ebony fretboard and solid rosewood bridge. 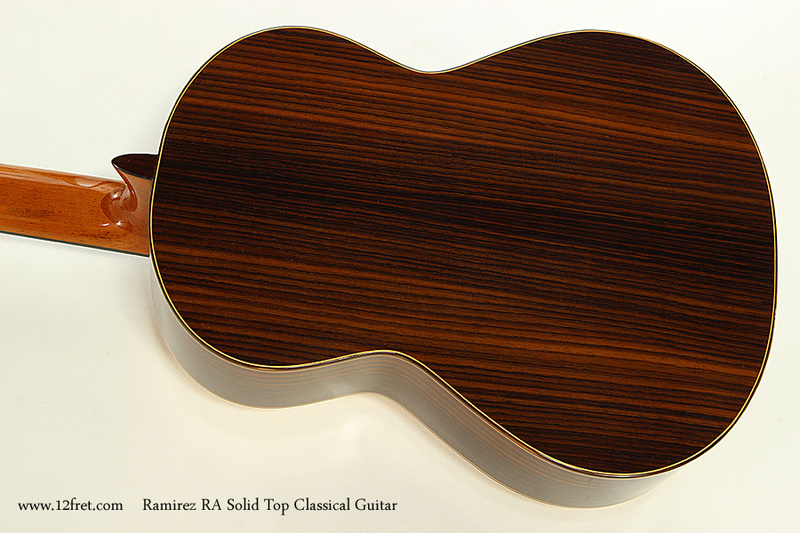 Interior features of the Ramirez RA model include a solid top fitted to solid linings, an unusual feature in a low priced guitar. The complex top bracing features six longitudinal fan braces, plus three diagonal braces as fitted to the 130th Anniversary. 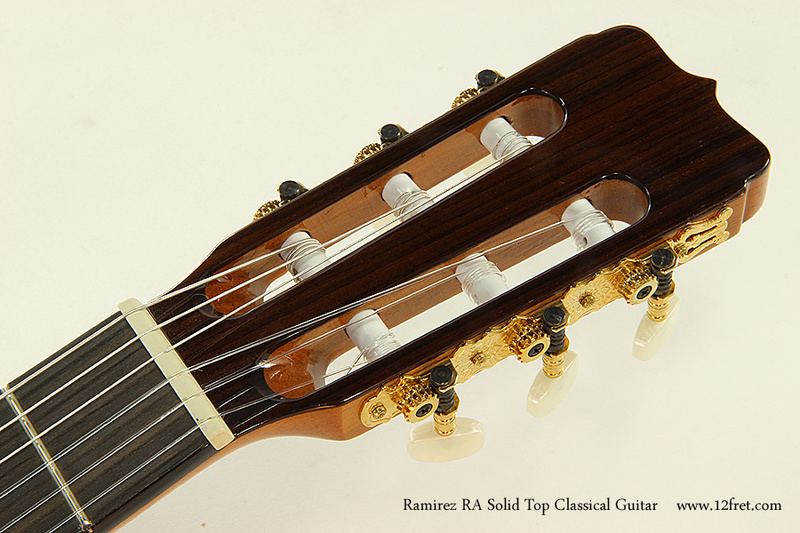 The Ramirez RA presents a full and robust tone, with the characteristic rich bass-response once expects from a Ramirez guitar. An Everest hard shell case is included. 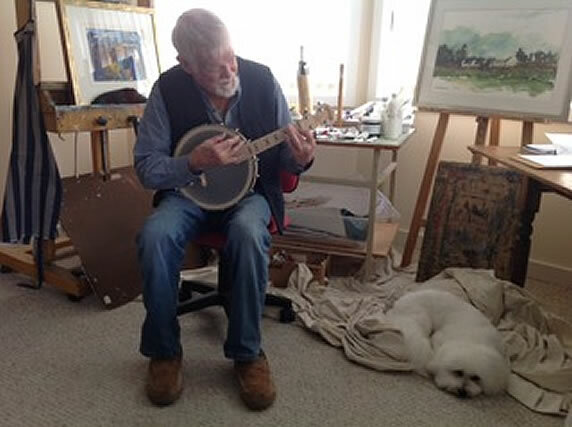 Read more about Ramirez Guitars.